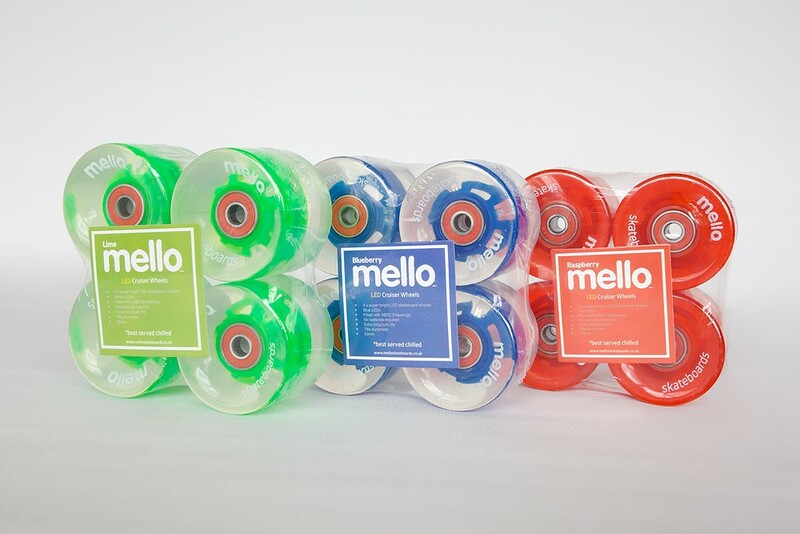 The mello skateboard wheel is the next generation in skateboard wheel sets. 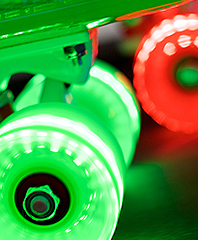 Whilst offering all the specifications, durability and quality of a high end wheel set, the mello LED wheel set takes design and function to the next level. 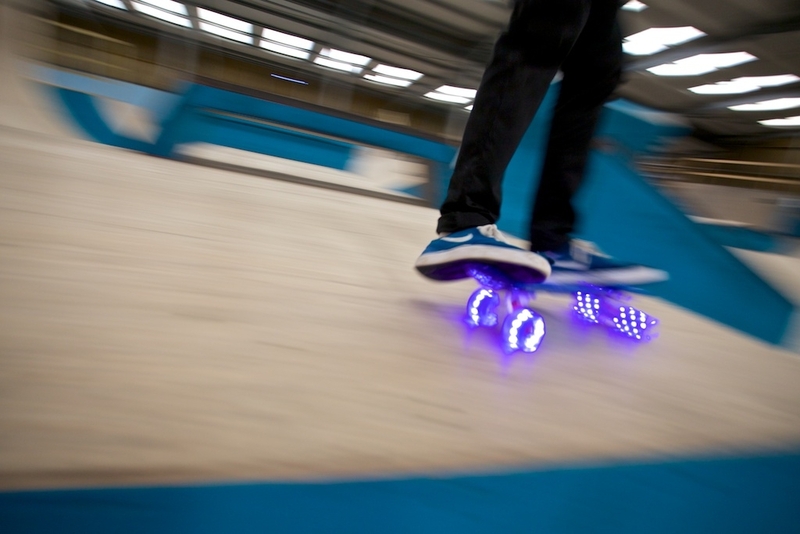 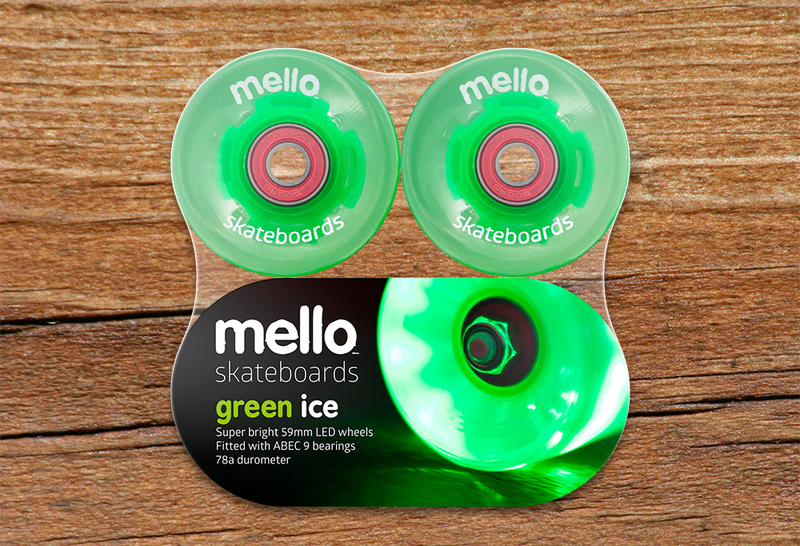 The mello LED wheel sets harness the kinetic energy you create from your ride and feed it back to the wheel sets to light up the bright LED's housed withing the wheels core excentuation tricks and adding an impressive touch to your skateboarding. 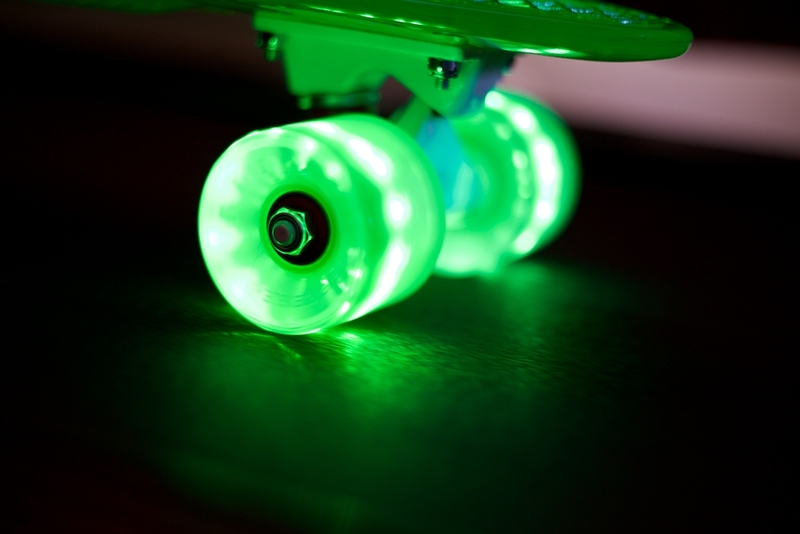 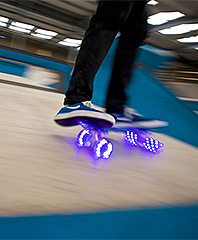 Mello wheels are 59mm, 78a LED PU wheels which include high spec ABEC9 bearing sets and fit almost any cruiser boards. 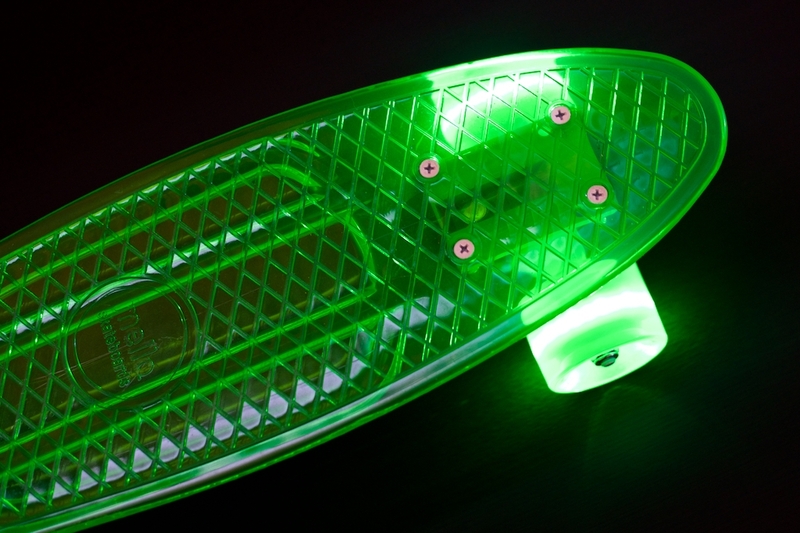 All you need to transform your ride.